While the advertiser market share battle between Facebook and Google continues, attention has been shifting towards an increasing number of new online advertising opportunities. According to our 2018 Digital Predictions video collection and ebook, one of the hottest PPC trends this year is all the other platforms available to advertisers. The image shows how much PPC marketers plan to increase budgets by channel, with a number of new advertising ecosystems on the rise. With increasing budgets being invested in everything from LinkedIn to Pinterest and even Amazon (not shown above), marketers are sure to uncover new opportunities and audiences from these new ad platforms in the year ahead. Pinterest has over the last two years started dazzling advertisers exponentially. 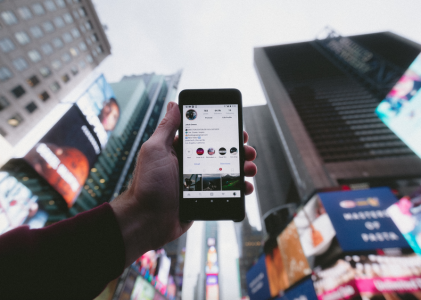 Based entirely on visual appeal, the image-based social media platform provides promise for advertisers who have products to showcase. Much of Pinterest’s success has been with the amount of visual content they offer to searchers. 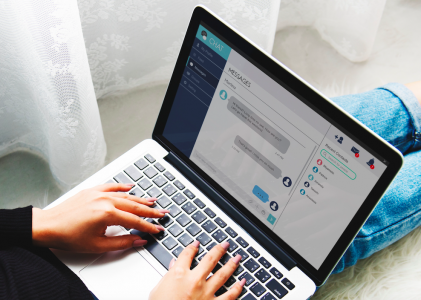 Since humans consume visual information 60000 times faster than text, an image-rich search engine with new UGC daily is a powerful platform for advertisers without a doubt. We’ll see if Pinterest continues to pick up steam with advertisers as a result. Amazon is maybe the fastest growing…everything in the world right now. As a business and supplier of goods they’re dominating, as a shipping and delivering provider they’re trailblazing innovators and they’re doing pretty well as a platform for advertisers too. 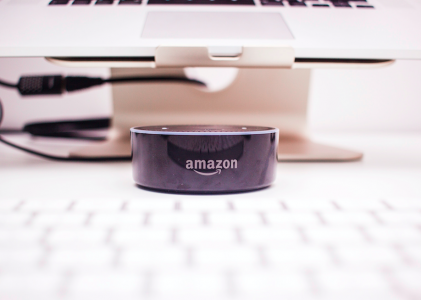 We agree that voice search still hasn’t come far enough for advertisers, but are happy to learn that Amazon is again trailblazing with sponsored messages. Indeed metrics like Aaron’s brilliant “Cost Per…Hear” prediction are hopefully on the horizon this year as Amazon leads and lights the way. There are a number of growing opportunities for advertisers online and they’re getting more and more attractive every day. One of the things that makes alternative or less mainstream ad platforms so attractive to advertisers is that they’re less saturated. From this perspective advertisers need to get into these channels now, understand them and start building an audience before they too are flooded with competition. Another reason these alternatives are great for advertisers is better audience targeting capabilities. Lisa Raehsler points out in her 2018 Acquisio Digital Predictions that these new ad platforms can offer “more attractive options for niche audiences who are difficult to capture with accuracy on Google.” With so much momentum behind different ad types and platforms already, predictions about their growth are sure to come true in 2018, but only time will tell if these up and comers survive the long run. 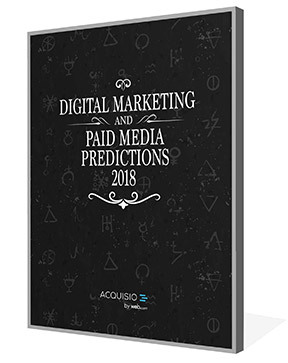 Click here to get all the insights from this year’s Digital Marketing and Paid Media Predictions videos and eBook.